Broom 30 Skipper Aft Cabin. Two heating units. Webasto and Dickens Newport! Chain and warp lengths unknown. Register with Boatshed to see 117 extra photos of this Broom 30 Skipper Aft Cabin. Every so often we are privileged to market such a stunning classic cruiser and this is no exception. 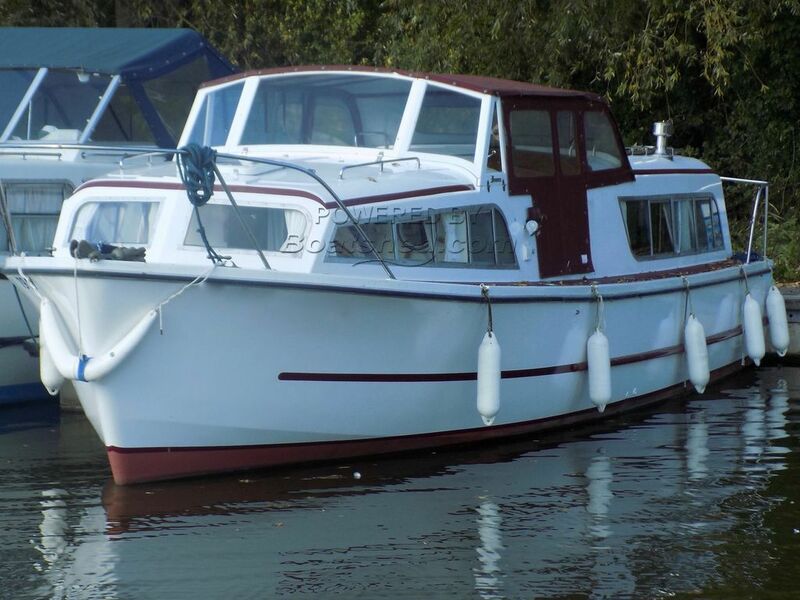 This vessel has undergone a massive refurbishment and is a credit to the current owner. The boat looks and feels straight out of the showroom!. With a current BSS certificate until 2023! There are two sources of heating and the owner tells me he spent all last winter on board comfortably. A bow thruster ensures ease of mooring and handling and folding windows giving a low air-draft for navigating the Broads bridges. The extended galley worktop is an addition which will be very useful indeed. a battery charger and inverter are also installed. The current mooring may be negotiated with the marina owners. 250 built by Broom. A must see turnkey boat and early viewing is highly recommended!! This Broom 30 Skipper Aft Cabin. has been personally photographed and viewed by Geoff Jaquest. of Boatshed Suffolk. Click here for contact details.